The earth is comprised of ⅔ water, making it one of the most plentiful and most important materials available. As water falls to the earth in the form of rain, snow, etc., it begins to pick up impurities (dust, micro-organisms, gases, etc.). For this reason, water treatment is one of the most important industries in the modern day world. At Halco, we provide the most innovative, high quality and affordable water conditioning products to our customers. The Hydrotech products we use meet and exceed industry performance and reliability standards, and are designed to improve performance and product life. Let our water conditioning experts ensure your water is safe, clean, and clear with no unpleasant tastes or odors! If you have any issues with your water quality, call us today to get a free estimate on our water conditioning services in Ithaca, Rochester, Syracuse and nearby areas in New York. With the quality of our drinking water increasingly coming under question, people are now looking for alternative sources of quality water. Reverse Osmosis Drinking Water Systems provide the most convenient and economical solution. Comparable systems usually waste 4 to 12 gallons for every gallon of RO water produced. 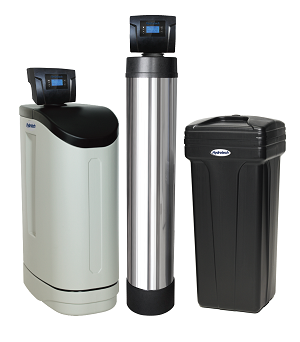 The highly efficient reverse osmosis system wastes virtually no water, with over 99.9% recovery. Click here for product details [PDF]. The unique two tank system keeps the two media beds separate, allowing for more carbon contact which greatly improves the removal of chlorine, chloramines and organics. Because the carbon typically needs to be replaced before the softening resin, the two tank system allows for easy cost effective replacement. 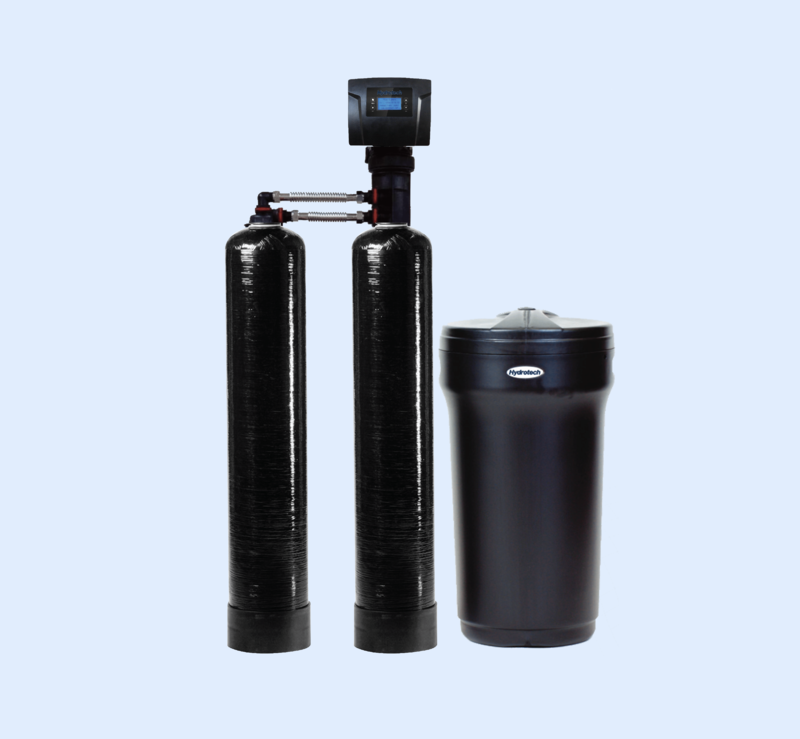 You get the same benefit as a separate water softener and whole-house carbon filter for a much lower price as the single control valve operates both systems. Hard water (calcium & magnesium) is a common problem for many homeowners and businesses. When hardness minerals are combined with heat it forms troublesome scale. Scale causes costly build-up in your plumbing, water heater and other water-using appliances. When combined with soap, the minerals form soap curd or scum that makes skin dry and itchy, hair lifeless, laundry dull and builds upon fixtures. Hard Water Spotting on dishes and glassware; scale on inside of water heater, pipes and water-using appliances; soap curd and bathtub ring; clothes look gray and dingy. Clear Water Iron (Ferrous) Yellow, brown or rusty stains on plumbing fixtures, water-using appliances and fabrics; metallic taste in foods and beverages; water is clear when drawn from faucet but changes color, ranging from yellow to brown, when exposed to air. Red Water Iron (Ferric) Same symptoms as Clear Water Iron, but the iron had already oxidized and has a yellow to rust color tint when drawn from faucet. Bacterial Iron Same symptoms as Clear and Red Water Iron, but can have clumps or balls that may foul plumbing lines and other water-using appliances; particularly noticeable as a yellow to reddish slime in toilet flush tank. Manganese Blackish stain on fixtures and laundry. Acid Water Blue/green or rusty stains and corrosion on plumbing fixtures and other water-using appliances. pitting of porcelain and enamel fixtures and dishes. Pin holes in copper plumbing lines. Aggressive or Corrosive Water Same symptoms as Acid Water but the pH is higher. Hydrogen Sulfide Rotten egg taste and/or odor. Turns copper plumbing lines black. Very corrosive. Marshy, metallic or chlorine taste or odors Objectionable tastes and/or odors other than hydrogen sulfide. Turbidity (Sand/sediment) Foreign particles, dirty or cloudy water. Tannis Yellow or brown tint or cast in water supply. Contact the experts at Halco today! The good news about these water problems is that they can all be taken care of with proper treatment. For correct sizing and application of water conditioning equipment, a water analysis is required. 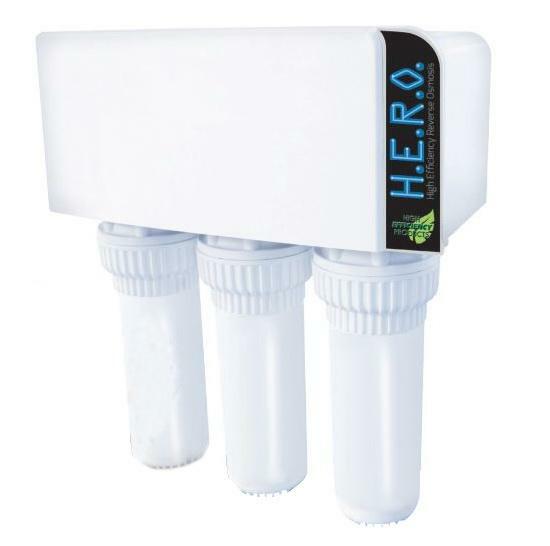 Contact your trusted experts at Halco and find the water treatment solution that is best for you. We offer free estimates on all our work in Syracuse, Ithaca, Rochester, Auburn, Webster, Pittsford, Cortland, Canandaigua, Fairport and throughout the surrounding areas.